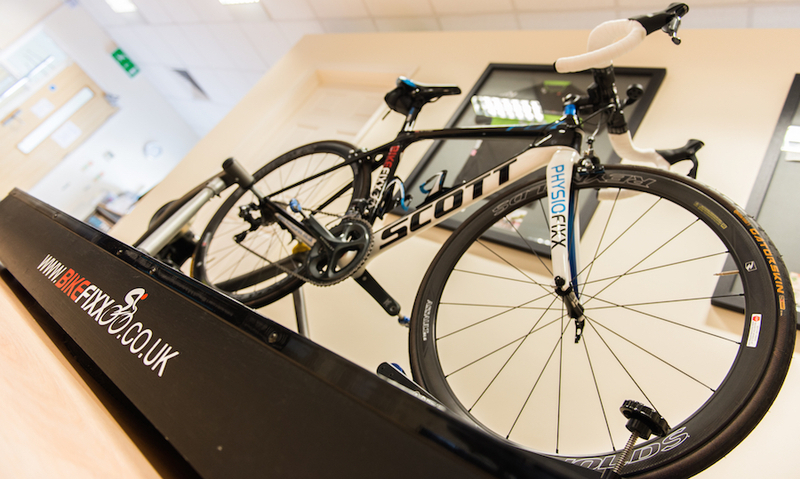 A bike fitting is a way of assessing your interaction with your bike, to see whether it is set up to maximise your performance, reduce your risk of injury or help identify any reasons why you may have sustained an injury. Using the appliance of science to the bike fitting process, using the Retul 3D motion capture system and or video analysis reduces the guess work of getting your bike set up optimised. At BikeFixx we not only look at you on your bike, but carry out an assessment of your cycling habits and off bike physical make up to see how you interact on the bike. There may be reasons in how flexible or strong your joints and muscles are which will have an impact on how best to set up your bike. Without assessing you as an individual first you may miss an important part of the ‘jigsaw’ of your bike set up. During your bike fitting, from the information gained from the assessment, alterations can be tried to your bike set-up such as saddle height, saddle fore and aft position, stem length and angle, saddle type, shifter position, handlebar style and type. These can then be assessed to see if the changes have a positive outcome for you. 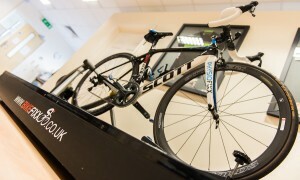 Why choose a bike fit from a physiotherapist? Physiotherapists are experts in observation, reasoning and problem solving. They are also experts in knowing how the human body moves, controls its movements and adapts to the demands placed upon it. These are the qualities which will enable a physiotherapist to give you a first class bike fitting. Bike fitting is not just about looking at angles and figures and deciding how best to change the bike to change the figures. If there are issues within your body’s flexibility or strength you may not be able to cope or adapt with certain changes which are made to your bike. The benefit of seeing a physiotherapist for a bike fitting is their ability to assess and understand you and how changes to the bike will also affect you. They can provide you with reasons why you may be struggling in a certain position and give you stretches and exercises to help you achieve your ultimate goals in cycling. Your body may be the limiting factor to getting your position optimised – and it might be that an evolutionary approach is better for you than a revolutionary approach. Bob is not only a certified Retul bike fitter; he has previously worked as a member of the Bike fitting team for the Sky Pro Cycling Team. In this role he was an integral part of the process of getting new riders into a position which was as close to their old bike as possible and to make sure that the current riders were in the most optimum position for performance and reducing the risks of injury.